Home » Campus Life » Welcome the ATLast Burger! Welcome the ATLast Burger….Coming To Googie Burger for a limited time only beginning Wednesday August 13th. A soft potato bun filled with two ¼ pound beef patties, two slices of pepper jack cheese, hickory smoked bacon, Tabasco habanero-onion relish, scorpion pepper ranch, Sriracha blue cheese slaw and topped with crispy fried cherry peppers. Ready for something SPICY? You will need to sign a waiver in order to eat this one. 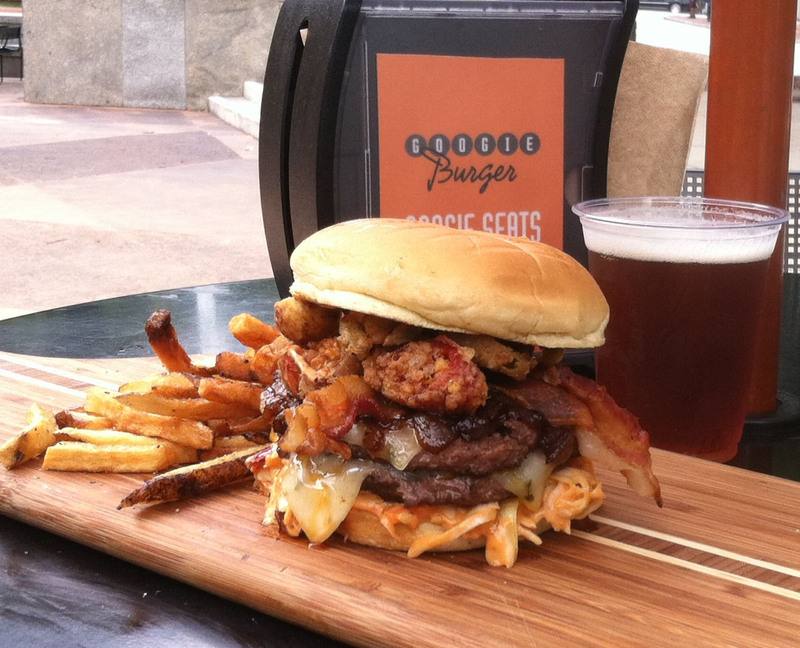 Burger Special available only at Googie Burger, located in Centennial Olympic Park.